After a year of service, the knight presented his eager squire with a dagger like the one he had received when he was a squire. 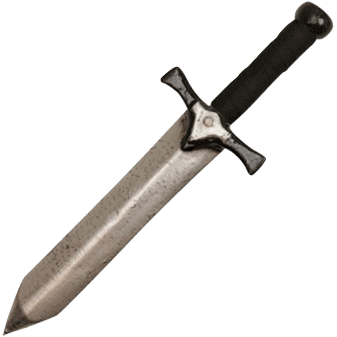 This Squires Reckoning LARP Dagger is an excellent sidearm for Medieval squires, guards, and men at arms. Crafted from dense latex foam with a unique fiberglass fusion core, this medieval LARP dagger is lightweight and extremely flexible. The durable latex construction with painted details provides a realistic look for any cosplay or theatrical production. 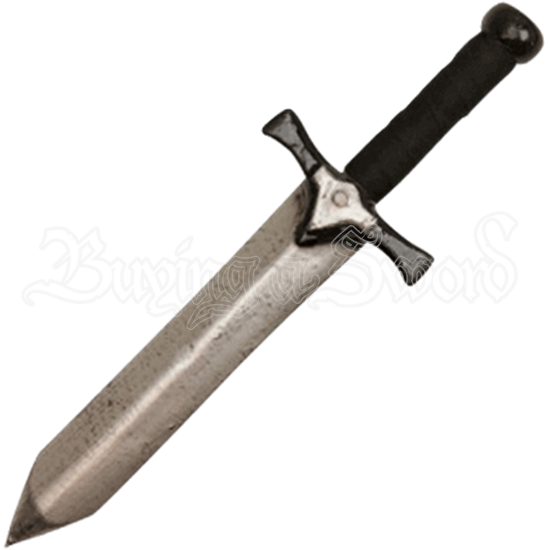 With a cord wrapped handle for a secure and comfortable grip, this Squires Reckoning LARP Dagger is suitable for light sparring.